When did you last visit this museum? For 45 years, this was a traditionally static local history museum. Now the place is being transformed to become a true community ecomuseum. Rediscover the house and the collection and wander through the gardens. You will be pleasantly surprised. For the last three months we have been without Internet access (hence the scarcity of posts). 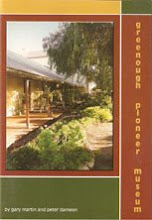 Now happy to announce that the Greenough Museum once again is connected to the World. 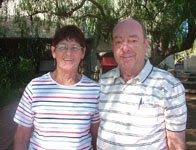 Connie has volunteered here for nearly 20 years.